I’m Brian Garside, and I love comics. Because I love comics so much, I made this video about the technology of comic shops not keeping pace with the realities of online commerce. I worked at two major comic shops in London Ontario in the late 80’s / early 90’s. I saw the Tim Burton Batman boom, the beginning of the Valiant and Image eras, and the entire speculator boom and bust. I placed initial orders, received the books, pulled orders, manned the cash register, made cycle sheets, and answered endless questions about how much Superman #75 — still in the bag — would be worth. I had a great time though, and comics helped hone my entrepreneurial chops. Comics paid for my first motorcycle, my first car, and a good chunk of my college education. I kept buying and selling comics, and eventually opened my own online store in 2006. I learned a ton, and took the lessons I learned from a brick and mortar store online. Comics is such a great business. I can’t think of another industry where passionate repeat customers come in to a shop every single week because they don’t want to miss a thing. The industry has changed a ton in the last decade. Shops get 7 day terms, but customers come in monthly, creating cash flow issues. Pulls are still a manual process, and customers often don’t remember what they’ve ordered from one week to the next. Understanding what is coming out is hard since there are 4–6000 items every month in the Diamond catalogue. You need to have accurate numbers for initial orders, and a lot of the solutions out there are complicated and confusing. You’ve got to deal with conversion rates, and discounts, and sometimes it’s all just too much. I’ve created a solution that solves a lot of these problems. 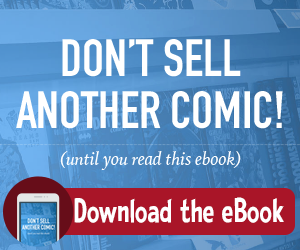 Manage Comics lets you market to your customers, tell them about all of the upcoming products that are available to them, and helps them discover the things they will love. Manage Comics isn’t just software though, it’s service. We update it monthly a selection of new titles, and we keep the list trimmed. We also deliver marketing messages that we think you should send out monthly to let your customers know what’s up. Manage Comics maintains your customer list, and lets you send emails to your customers right from the dashboard. With Manage Comics your customers will know what they’ve ordered, they’ll know when their comics come in, and they’ll know what is coming up. You’ll be able to get a quick view of what you need to order, and weekly pulls are a breeze. If you’d like, you can even use Manage Comics to bill your customers. I love comics, and I want to help comic shop owners succeed. 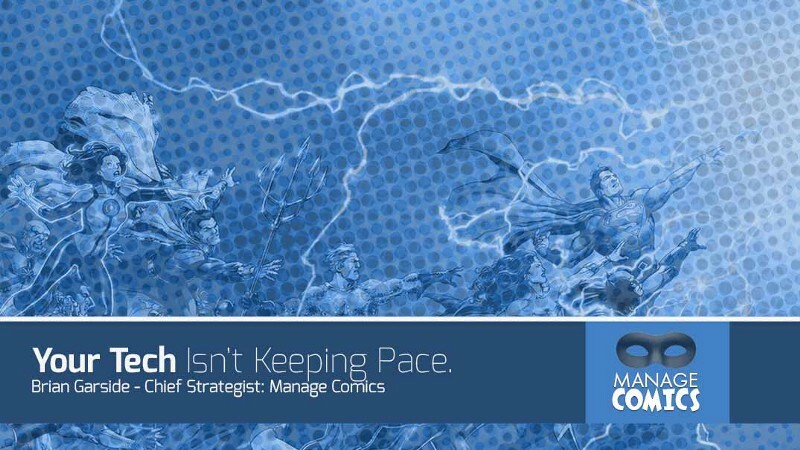 Go to ManageComics.com today and sign up to get our 10 page how to guide that tells you everything you need to know about Manage Comics.